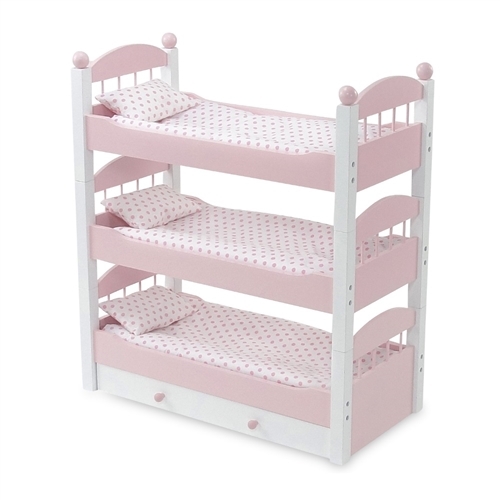 Take your sleepovers to the next level with this versatile 18" doll pink and white triple bunk bed with trundle drawer! Part of our amazing Emily Rose "Stackable" collection, this set gives you 3 lovely single beds but in an amazing space saving solution! 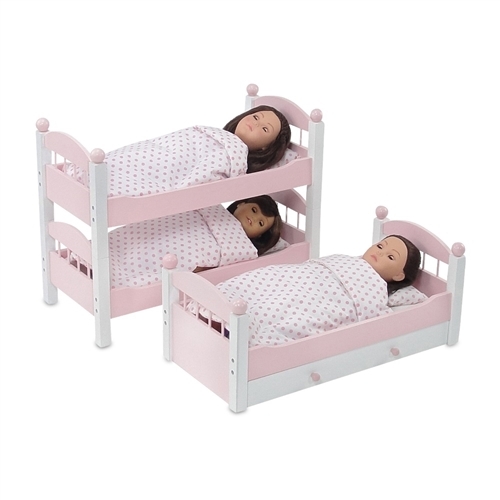 These beds come apart and can be set side by side as 3 separate beds (each with a full set of 4 round pink bed post knobs), or can be set up as a bunk and a single, with a large storage drawer under the bottom bed that can be used to store your doll clothes and doll accessories. This drawer can even be used as an extra bed for a guest! 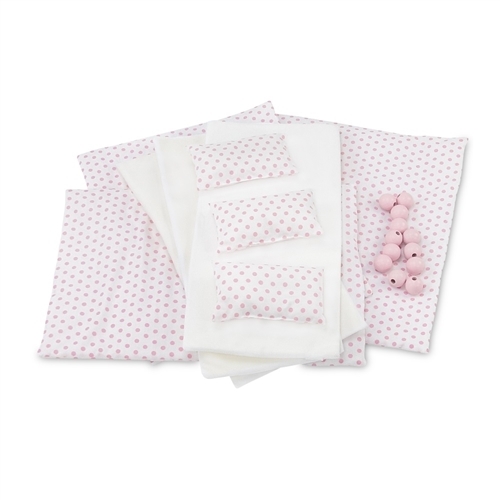 Beds each come with a thick comfy mattress, a pretty pink polka dot blanket and a fluffy matching pillow. INS1073 triple bunk set is also compatible with INS1074 single stackable bunk and INS1075 single stackable trundle products. 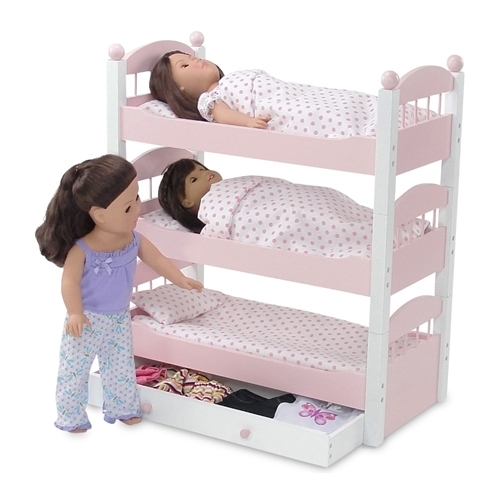 Assembled product measures 22" x 10.75" x 25"
Dolls and doll clothing are not included.